MAC3 hires and extends its sales support. MAC3 team is delighted to announce the appointment of Carl Mason as Area Sales Manager for the UK. Carl has a huge experience in the construction and rental industry business and will work on development of MAC3 business and customer relations. 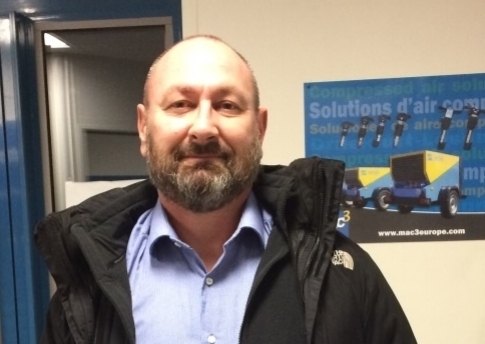 Prior to joining the French tool and compressor manufacturer, Carl Mason worked as Area Sales Manager for Sullair. He brings 33 years of experience along with the technical skills to make a valuable contribution to MAC3’s growth. Carl’s professionalism and enthusiasm will offer the best support to UK customers.